than 30 seconds to complete. That said, it was also meant to help people hide behaviors they didn't want loved ones to see. Though, as Fisher describes it, the scenario Google envisioned involves a boyfriend searching for engagement rings who doesn't want his soon-to-be-fiancée -- with whom he shares a computer -- to get any hint that he's about to propose. The Chrome team wanted to provide a tool that would enable people to "pause" their browser from recording its history so people wouldn't have to purge it in its entirety whenever they didn't want to leave a trace -- a move Fisher describes as "destructive" because it prevents your browser from taking advantage of historical data (e.g., cookies) to power future searches, and causes it to slow down. 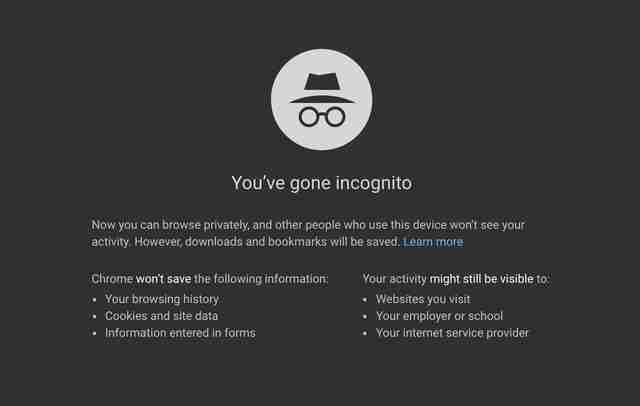 When you use Incognito Mode, your browsing activity does not get recorded to the physical device you're using. That doesn't mean all of what you do is necessarily invisible to the people you want to keep in the dark. That's because if you browse an unsecure site (one without an "https") people who are on the same network as you could peek at what you're doing, and see the sites you're seeing. For example, if you log on to your employer's Wi-Fi using Incognito in hopes of getting away with something shady online, a savvy superior could easily watch as you go about your business. As more and more sites opt to more secure "https" domains this is becoming less of an issue, but the fact remains that Incognito Mode will not protect you from snoops in this scenario. If you want to conceal the fact you're about to propose to your partner by doing some covert ring shopping on Incognito Mode, do it! But if you expect IM to protect you against the many, many privacy pitfalls inherent to browsing the modern-day web, be aware that's not its purpose. In fact, Fisher explained that the Chrome team agonized over what to call IM it in the beginning, intentionally steering away from including "privacy" in the name, because it didn't want to oversell its ability. 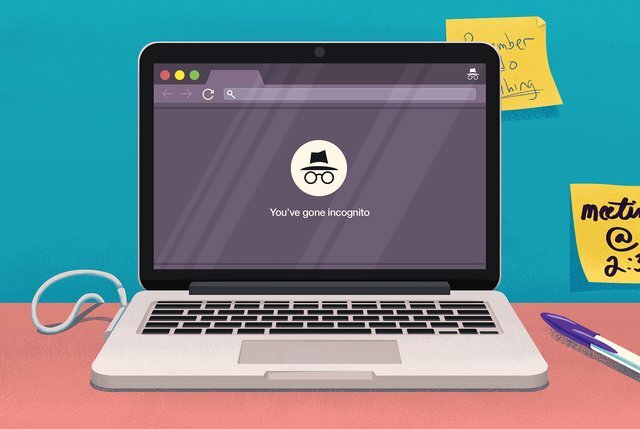 "When you launch the Incognito tab there’s this disclaimer there where we really try to help make it really clear to people that your activity is certainly still visible to the websites you visit and could be visible to your employer, to your school your, and to your ISP [internet service provide] of course," he says. While its developers intended Incognito Mode to make sharing your computer easier, it's since become a handy tool in a number of other situations. For instance, some old-hat flight deal searchers claim they've found cheaper fares while doing repeat flight searches in IM, so as to prevent airlines from keeping tabs on their activity and freezing or jacking the price. It's also a good way to protect yourself against potentially sketchy or unsecure sites you casually encounter. Fisher suggests this is actually one of its best uses, and encourages people to right click on hyperlinks in Chrome and launch them by selecting "Open Link in Incognito Window." Also, consider shopping on Amazon in IM if you don't want the site's pesky "similar item" suggestions to follow you everywhere you go. While Fisher didn't give us his take on how best to browse without leaving any trace whatsoever, and acknowledges that Incognito Mode should not be considered a privacy shield, he maintains that the best way to protect yourself and your privacy in the age of rampant online identity theft and hacking is to make sure you're using a modern browser and keeping it updated. The Chrome team is constantly monitoring threats and bugs, and ensures its updates include patches and fixes to address whatever security breaches people are most at-risk of, he said. The truth is, the only way to be truly invisible online these days is to use a browser like Tor on the Dark Web. Then again, if you don't know what that is or how to get there, you should probably steer clear -- "Dark" is the word that describes it in more ways than one.